Is your smile holding you back from enjoying life to the fullest? Are you tired of feeling self-conscious about your teeth? If you’re ready for better teeth, better health, and a better life; then join over 5 million people around the world, who are enjoying a straighter smile with Invisalign! We believe that every patient and every smile has a unique story as well as unique goals, and desires. Every day in our practice, we meet patients who feel uncomfortable with their smiles. No one should to go through life being self-conscious about his or her teeth. Together, we can create a plan that works for you and enables you to have the smile you’ve always wanted, a smile that tells the story that really describes you. Hi! 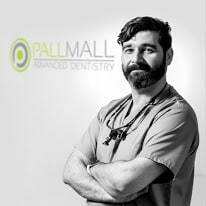 My name is Andrew and I am the owner of Pall Mall Dental. We have been established for over 13 years. My vision is to provide exceptional patient care and offer the highest quality dentistry available today. By combining clever techniques and materials, I am able to maximise natural aesthetics with minimal damage to the natural teeth. 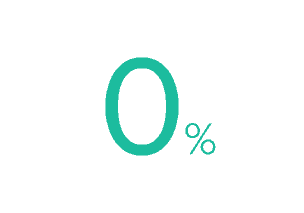 With thousands of Quick Straight Teeth users around the UK, we are proud to be a platinum provider and have straightened hundreds of smiles in Liverpool and offer aftercare for all clients. Using Invisible brace technology and our experience in transforming smiles, we can guarantee results that you can see and approve before you even begin your treatment. Our reputation is based upon our lovely clients who are not shy to tell the world about their experience. You can see their comments/reviews and videos on our website, Google, Youtube and Facebook. We are one of Liverpool’s most popular cosmetic dental centres and have treated thousands of clients to date. Don’t Put Off Having Straight, Confident Teeth For Another Year! Get The Smile That You Deserve Now! We have a beautiful dental practice located within the heart of Liverpool. In just 4 months I have straight white teeth thanks to Quick Straight Teeth treatment and Andrew and all the lovely girls here. Best value invisible brace treatment around and everybody makes you feel really at ease. 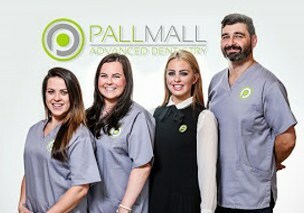 If Carlsberg did dentists then Andy Healy at Pall Mall would be it! 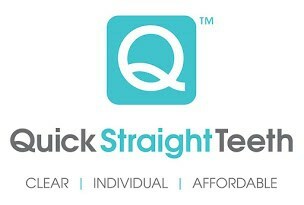 I came here for Quick Straight Teeth fixed braces and absolutley love the results. Andy is not just a brilliant dentist, he’s kind, caring and super friendly. I travel an hour to get here and will be coming back for my routine check ups because I only trust Andy with my teeth now. Amazing! It’s not like visiting a dentist. I have severe issues from my youth of nightmare events at the dentist. I used to get severe anxiety weeks before a dentist appointment. These days I actually look forward to my dental appointments. Andrew is a top guy who’s an excellent dentist/orthodontist. I have to no issues with the dentist now and 100% confidence because of Andrew and that’s priceless. consultation and feel confident about your smile.